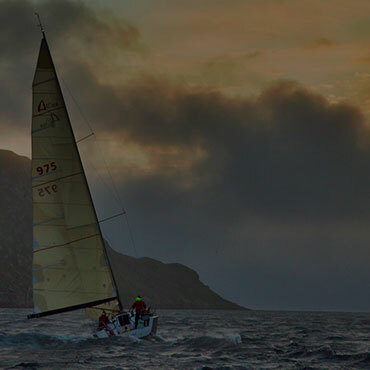 “I slept well tonight, I feel in good shape to attack the race to Saint-Pierre et Miquelon! 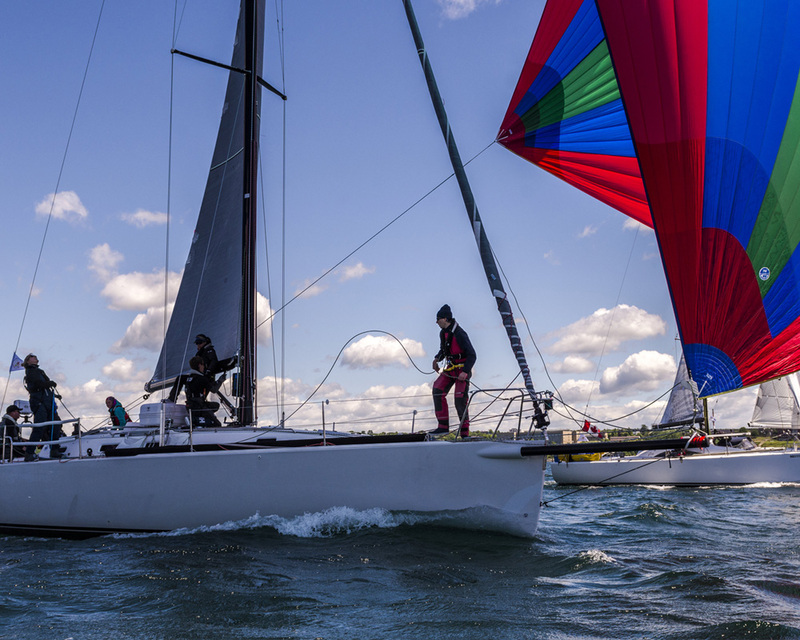 All the crew cannot wait to cut the starting line” Gaëlle Halliday smiled as she dumped the J33 “Bella J”. 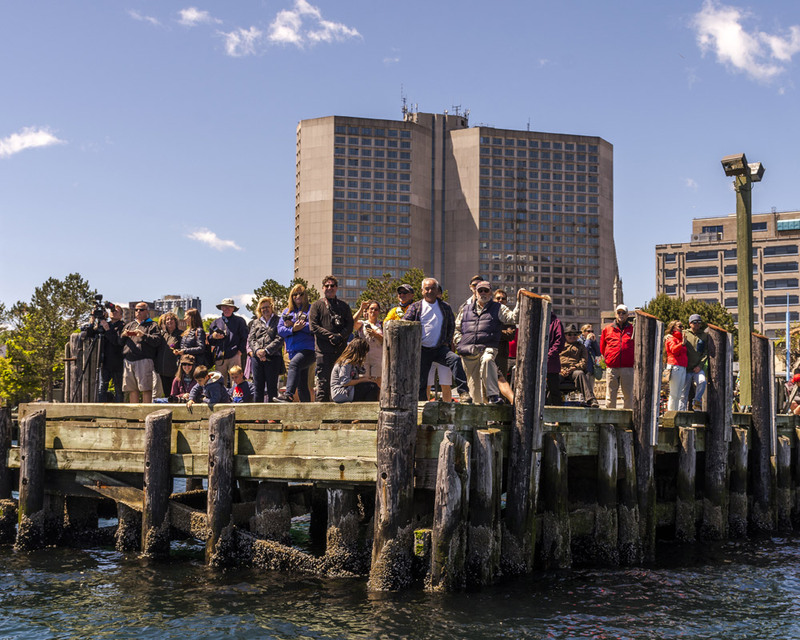 Early this morning, the pontoons in front of the waterfront of the Canadian city of Halifax was boiling. 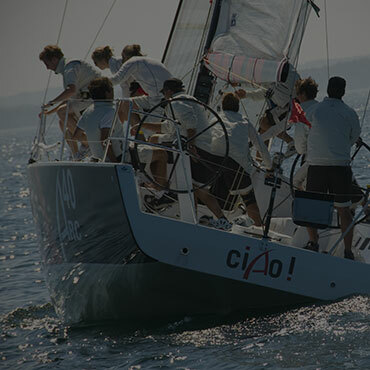 “There is more wind than expected, the race promises to be fast! 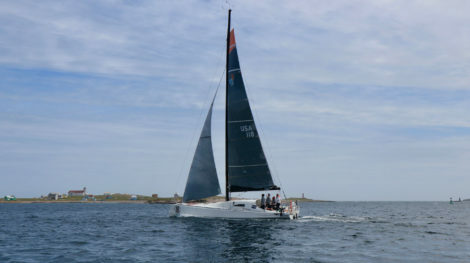 We have in mind the record to beat of 29h30” launched the French Maxime Grimard from the cockpit of the VOR60 “Esprit de corps IV”, the largest monohull in the fleet. 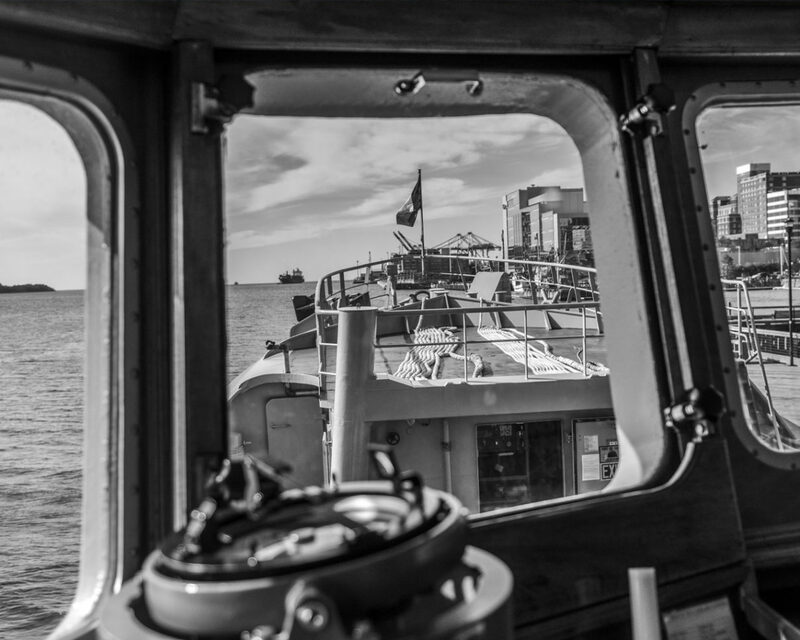 Onboard supplies, fleeces, jackets and waxed on the back, boots, hats for some, the crews dressed as they should for this wild run to the benches of Newfoundland. 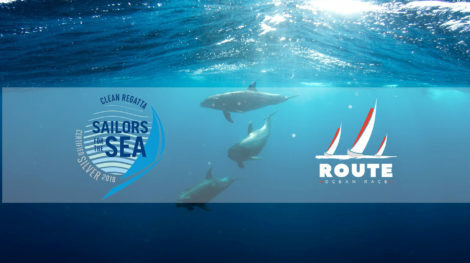 “I wish all crews maximum enjoyment throughout these 356 miles to Saint-Pierre et Miquelon. 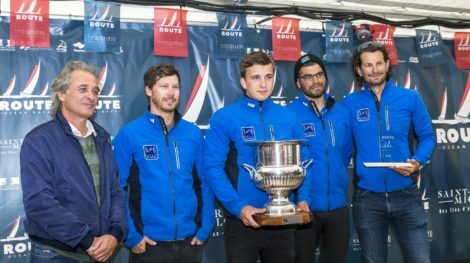 Think of the very warm welcome that awaits you!” confided the founder of ROUTE Halifax Saint-Pierre, Philippe Paturel, also co-skipper of CLASS40 “Oakcliff Racing Saint-Pierre et Miquelon”. 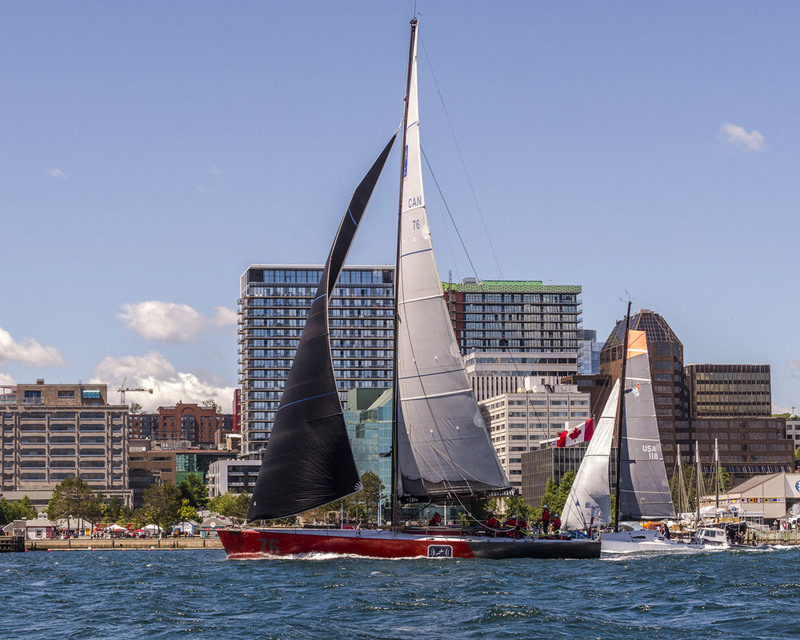 Under a dappled sky with Halifax Waterfront as a backdrop, accompanied by the applause of the crowds on the docks, the fleet started in two starts, CLASS40 and VOR cutting the line ten minutes after the other boats. 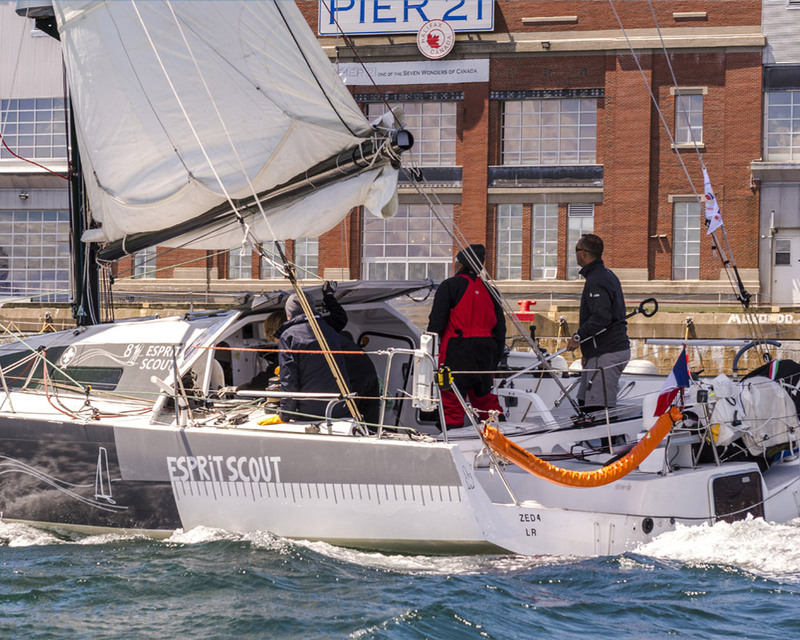 It was downwind, sails scissors or spin head that the sailboats headed for the Atlantic Ocean pushed by 15 good knots of wind, the French patrol Fulmar closing the march. 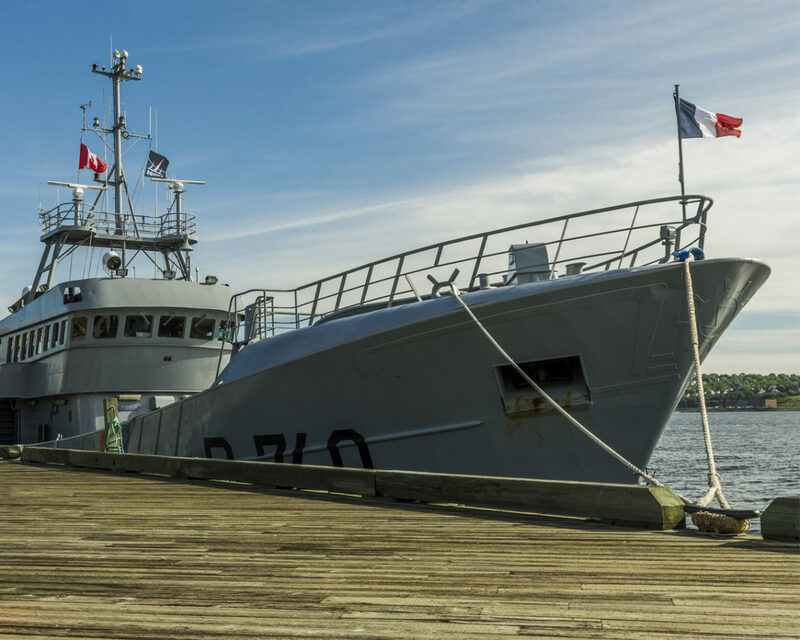 He will be the watchdog of ROUTE Halifax Saint-Pierre to the archipelago of Saint-Pierre et Miquelon. 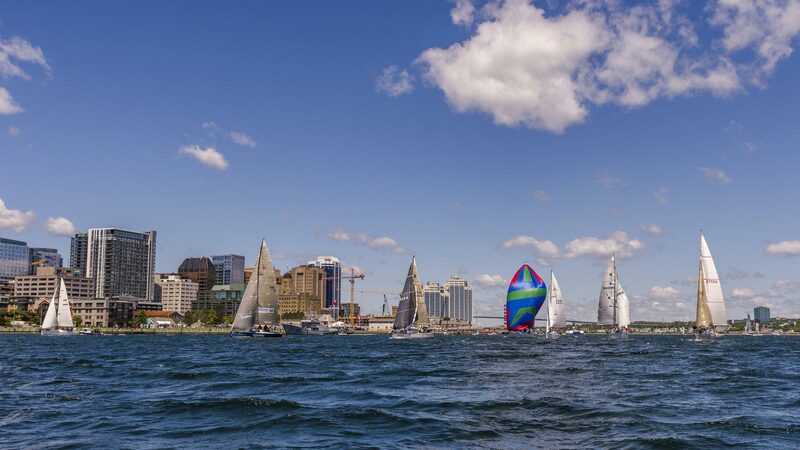 The northwest wind, which is expected to gradually turn to the west, will allow competitors to move quickly up the shores of Nova Scotia on the same shore for 120 nautical miles before the major crossing to the Newfoundland Banks. 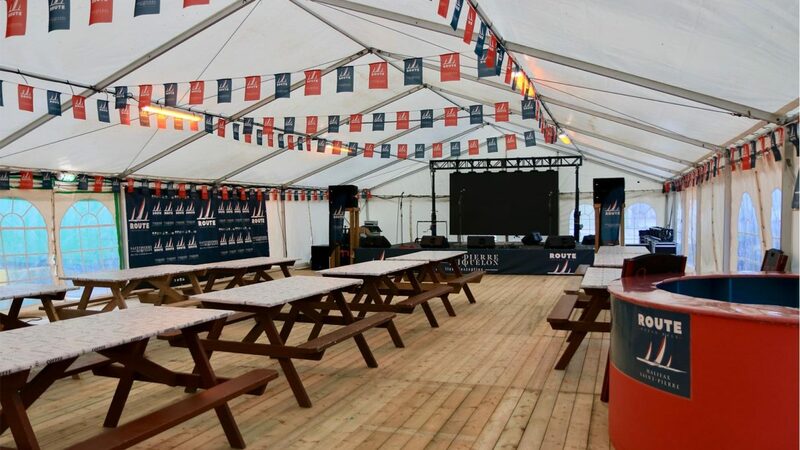 The Café de la ROUTE adorned with its all new colors of wood and Blue, White, Red french flag opens its doors at 17h on the Quai Eric Tabarly in Saint-Pierre. Pierrick for the aperitif in music then Chanson d’Occasion and Blague and Hale, just arrived from their concerts for the departure of the ROUTE at Halifax Waterfront, open the celebration. For dinner, Cod “à la dieppoise” and homemade desserts to begin the party. Everyone is waiting for the ROUTE in Saint-Pierre et Miquelon.